Trey was born, raised and currently resides in Spartanburg, South Carolina. Upon graduating Byrnes High School, Trey accepted a full scholarship to attend Limestone College, where he played for four years for the baseball team as a catcher, designated hitter and outfielder. He served as the Vice President of the Student Alumni Leadership Counsel during his senior year. In 2003, Trey graduated with honors from Limestone College and was awarded the annual Limestone College Excellence in Business Administration and Economics Award, which is voted on by the professors in each of those departments. Trey was named the Limestone College Young Alumnus for 2011. Upon graduating with honors from Limestone College, Trey and his wife moved to Jacksonville, Florida where he enrolled in Florida Coastal School of Law, where he was awarded the Govenor's Merit Scholarship. While enrolled in Florida Coastal, he received the Cali Award (highest grade) for Family Law and UCC Article 2 - Sales. Having decided that he wanted to return to South Carolina upon completion of law school, Trey transferred to the University of South Carolina School of Law as a visiting student for his last year of law school. He graduated from Florida Coastal School of Law in 2006 and was admitted to practice in the State of South Carolina that same year. While in law school, Trey worked as a Westlaw Student Representative where he was responsible for training new students in how to use Westlaw more efficiently and effectively. He also completed a summer internship with the Honorable J.C. Nicholson, Jr. before his third year of law school. 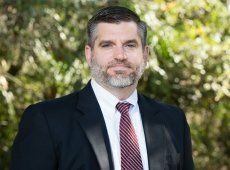 Upon graduation, Trey joined a small civil defense firm in Spartanburg, South Carolina which specialized in defending various complex matters including governmental liability, construction defects and professional malpractice. In 2008, Trey joined a mid-sized insurance defense firm in Greenville, South Carolina, where he was named partner in 2015. From 2008 to 2016, Trey's practiced focused on civil defense mostly in the areas of premise liability, product defect, auto-accidents, construction defect, business litigation and governmental liability. He has successfully tried cases to verdict involving motor vehicle accidents, premise liability and business disputes. He is currently licensed in the State of South Carolina as well as licensed to practice in the United District Court for the District of South Carolina and the United States Court of Appeals for the Fourth Circuit. Trey is married to his high school sweetheart, Jennifer. They have one daughter, who gladly takes all of his free time. When spare time presents itself, Trey enjoys traveling with his family, fishing, golfing and following all things related to Clemson and Limestone athletics.